OTTAWA – Prime Minister Justin Trudeau has removed Jody Wilson-Raybould and Jane Philpott from the federal Liberal caucus, with the backing of his MPs. Speaking to the entire national Liberal caucus at an emergency meeting on Parliament Hill, Trudeau cited the “will of caucus,” and said that while it was his decision, the trust that more than 170 Liberal members had with Wilson-Raybould and Philpott had been “broken,” and it was clear they had to be removed. “Whether it’s taping conversations without consent or repeatedly expressing a lack of confidence in our government and in me personally as leader, it’s become clear that Ms. Wilson-Raybould and Dr. Philpott can no longer be part of our Liberal team,” Trudeau said. The prime minister said that he spoke with caucus leadership earlier on Tuesday and also met with Philpott and Wilson-Raybould to inform them of his decision. “We’ve taken every effort to address their concerns but ultimately if they can’t honestly say that they have confidence in this team, despite weeks of testimony, face-to-face conversations and phone calls with myself and other members of caucus, then they cannot be part of this team,” Trudeau said. Minutes before Trudeau announced this, Wilson-Raybould tweeted that she had been informed by Trudeau that she was no longer in the caucus and had been dropped as the candidate for Vancouver Granville, B.C. “I hold my head high… I have no regrets. I spoke the truth as I will continue to do,” she said. In a post on Facebook, Philpott said she was “profoundly” disheartened that the decision was made without her being given the opportunity to speak directly to the national caucus. She denied that she was disloyal or that her involvement in the affair had anything to do with political advantage. This decision comes nearly two months after the SNC-Lavalin scandal first broke. The controversy centres on allegations from Wilson-Raybould that she faced a "consistent and sustained effort" for months by nearly a dozen government officials pressuring her to intervene in the criminal prosecution of SNC-Lavalin, out of concern for jobs and Quebec political prospects. The scandal began unfolding after Wilson-Raybould and Philpott were both shuffled into new cabinet positions in January. Days after the initial story broke about her being pressured, Wilson-Raybould resigned from cabinet, and Philpott followed suit a few weeks later, citing a loss in confidence in the way the government was handling the entire SNC-Lavalin affair. Since then both have offered additional information or commentary on the matter that Liberal MPs now appear to have been unable to reconcile with. The pair’s removal from caucus follows a series of regional caucus meetings in which Liberal MPs discussed whether they should be allowed to remain with the Liberal team. “This has been a difficult few weeks for our government and for our Liberal team. On the issues surrounding SNC-Lavalin we’ve seen allegations made, and different versions of events, details. Amid the confusing and competing narratives, Canadians rightly have had questions,” Trudeau said, adding that the government has too grappled with these questions about the role of government in protecting jobs, and respecting Canadian democratic institutions. The Liberal caucus will hold another meeting on Wednesday, likely to discuss all other business now that the most pressing matter has been addressed. Then, Trudeau will partake in the by-annual Daughters of the Vote event where 338 delegates descend on the Hill, in the name of encouraging more women to enter politics. Wilson-Raybould was received warmly by a number of the delegates at a reception on Monday night and some critics have questioned whether the Liberals wanted to be seen throwing out two female caucus members on the same day as the Equal Voice-run event. Both Wilson-Raybould and Philpott were federal political rookies, first elected in 2015. They were both appointed to Trudeau’s first and historic gender-balanced cabinet, and were seen to be key to the government’s pledge of reconciliation and developing a new nation-to-nation relationship with Indigenous people. Prior to her career in politics, Philpott was a family doctor, and Wilson-Raybould was a crown prosecutor and regional chief. Trudeau leaning into the narrative about the Liberals’ approach to politics appeared to be speaking directly to some of what Wilson-Raybould had to say in a last-chance letter to her entire caucus, sent Tuesday around noon. In the letter the Vancouver-Granville MP spoke of the Liberals’ 2015 election commitment to do politics differently, more transparently, and by empowering MPs. She stopped short of explicitly saying that she still has confidence in Trudeau. She said the vision that the Liberals came into power with was “one of the main reasons” she didn’t hesitate to stand up for what she thought was right in the case of SNC-Lavalin. 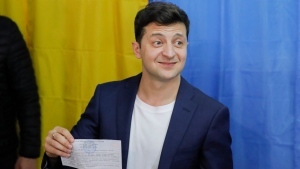 “I am not the one who tried to interfere in sensitive proceedings, I am not the one who made it public, and I am not the one who publicly denied what happened. But I am not going to go over all of the details here again. Enough has been said,” her letter said. Those final few words are something that it seems the entire Liberal caucus agrees with. “By their actions they have excluded themselves so for us now it’s time to move on,” said Liberal cabinet minister Francois-Philippe Champagne. His colleague and fellow minister Jim Carr said that “when trust is broken it’s sad and inevitably in public life and in politics, trust and loyalty, and pulling in the same direction is the kind of commitment that is necessary for all team members,” Carr said. Over the last two days, numerous Liberal MPs have been speaking out, and expressing disappointment and condemnation over Wilson-Raybould's decision to secretly record and subsequently make public a December conversation she had with Privy Council Clerk Michael Wernick about SNC-Lavalin. That audio was released on Friday along with dozens of additional pages of testimony, text messages, transcripts, and copies of emails to supplement her Feb. 27 hours-long testimony. Speaking to this, Trudeau said it was a "wrong” thing for a politician, especially a cabinet minister, to have done. “And when that cabinet minister is the attorney general… it is unconscionable,” Trudeau said. 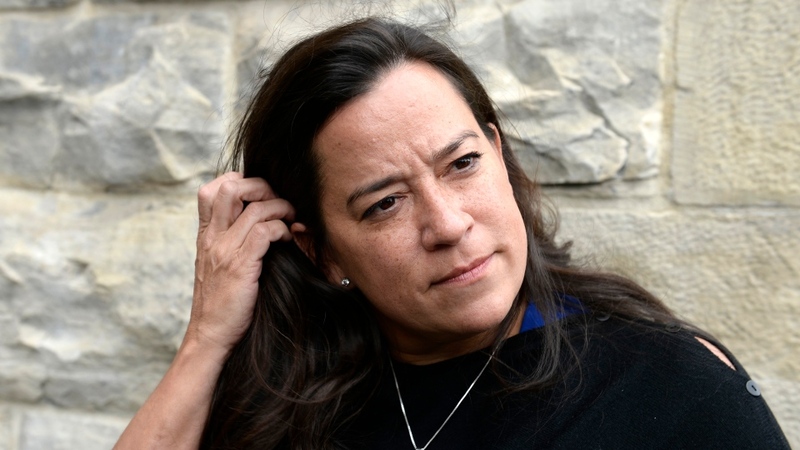 Wilson-Raybould defended her recording on Monday, saying it was a "reasonable, rational thing to do in an unreasonable and irrational situation," and that she felt she needed to protect herself. Since she testified to the allegations, Trudeau has faced calls to resign and the House of Commons has been largely usurped by opposition-prompted procedural moves, the latest being a budget debate filibuster from Conservative MP Pierre Poilievre which is poised to enter its third day. Early Tuesday the House Justice Committee met behind closed doors to determine next steps for the new studies it decided to take on after ending its probe into the SNC-Lavalin affair. The opposition did try to revive its proposal to resume the study that Liberal MPs shut down a few weeks ago, but that was unsuccessful. Despite the committee having ended its meetings on the matter, it is still receiving new evidence. The latest came in today from Trudeau’s former top adviser Gerald Butts who resigned amid this scandal. 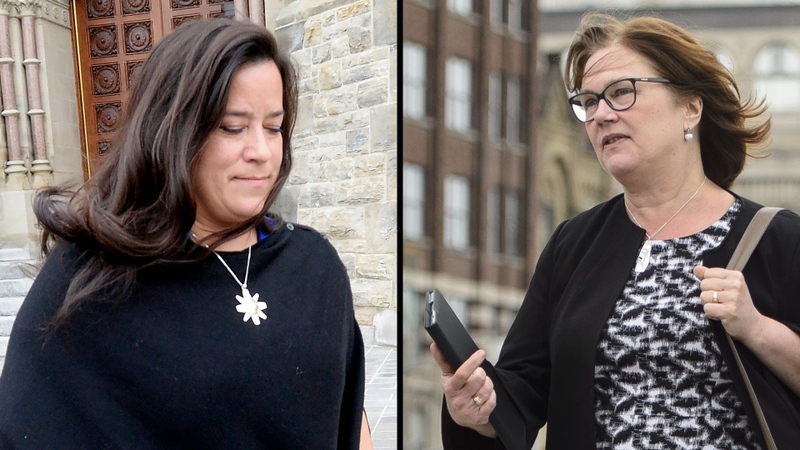 He turned over texts and other messages between he and Wilson-Raybould that show the tensions between the PMO and the former justice minister as she was being shuffled into a different portfolio, a move Wilson-Raybould said she thinks was because of her intransigence over not interfering in SNC-Lavalin’s criminal case. In his televised comments to caucus Tuesday night, Trudeau indicated a desire to refocus the government’s agenda on other matters, and took aim at his opponents. “Civil wars within parties are incredibly damaging because they signal to Canadians that we care more about ourselves than we do about them, that’s why I made the difficult decision,” Trudeau said. “Our political opponents win when Liberals are divided, we can’t afford to make that mistake. Canadians are counting on us,” he said.